We love working with entrepreneurs to make innovative ideas a reality. Earlier this summer we met the folks at RoundPegg, a Boulder-based TechStars alum, and were immediately excited by their vision: to optimize the hiring process and human interactions within the workplace through a combination of science and technology. 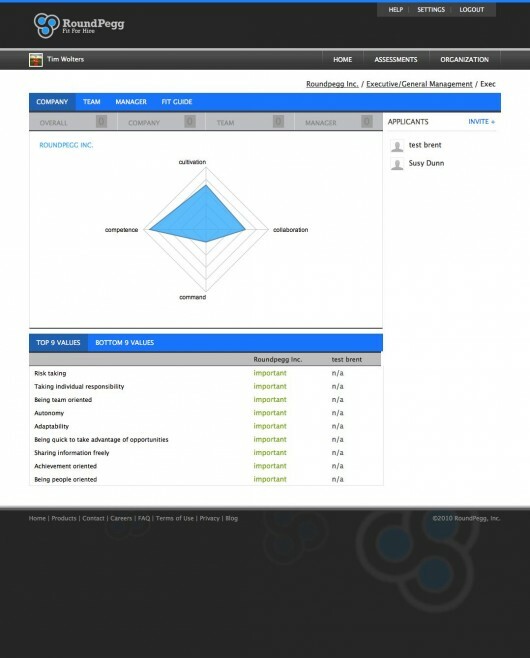 Last week RoundPegg launched the update to its product that we helped design and develop. Here's a closer look at the process. 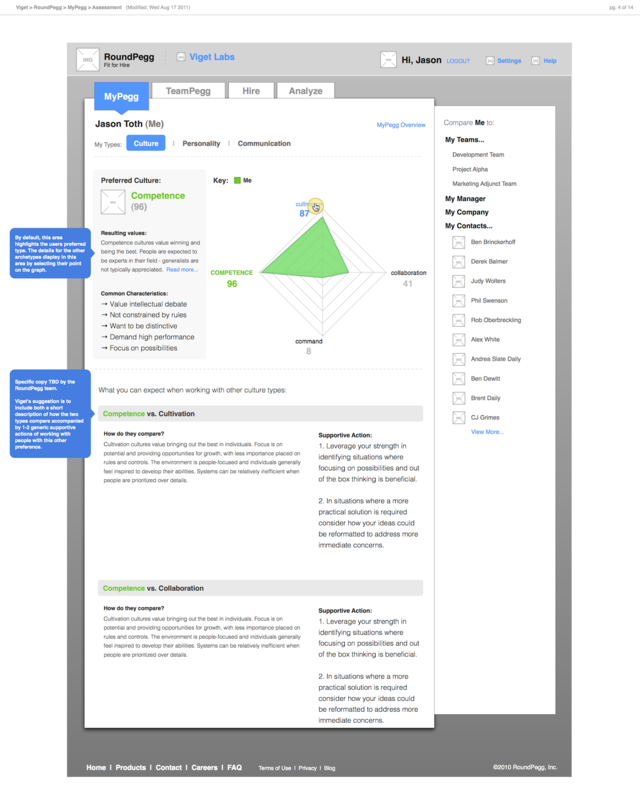 First, our user experience team worked with RoundPegg to update, design, and develop the user interface of its core product. We began by reviewing the existing application, use cases, and new product goals. From there, our UX designers created wireframes for key screens of the application, working hand-in-hand with the RoundPegg team to ensure business goals were met and that the new interface would be supported by the back-end application. In parallel, our design team explored a new visual direction for the product. 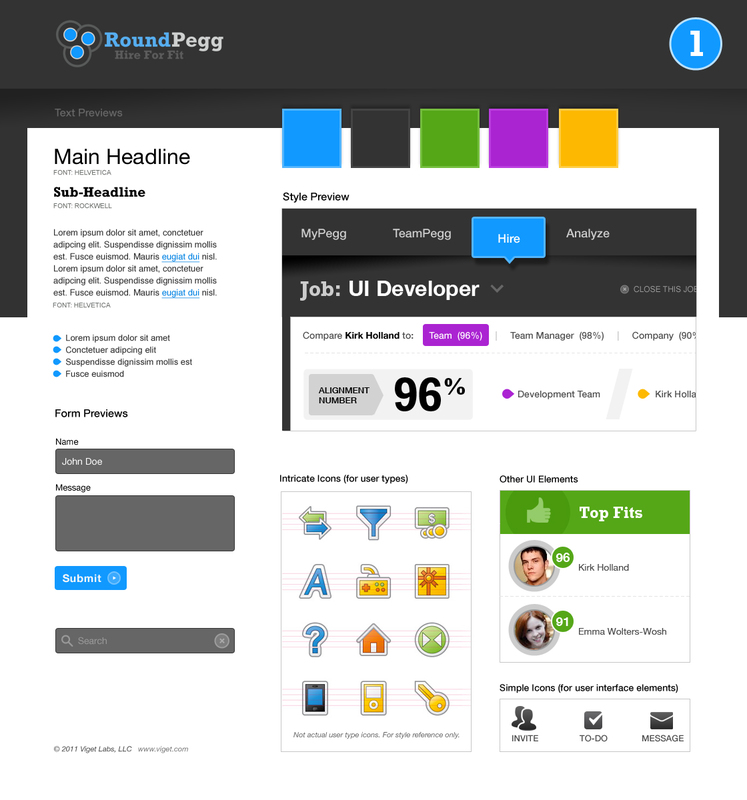 Because RoundPegg had an existing brand, the new user interface design had to maintain a cohesive overall feel while also establishing a fresh new visual language. Our visual design work began with two mood boards where we explored colors, typography, tone, and other visual themes. 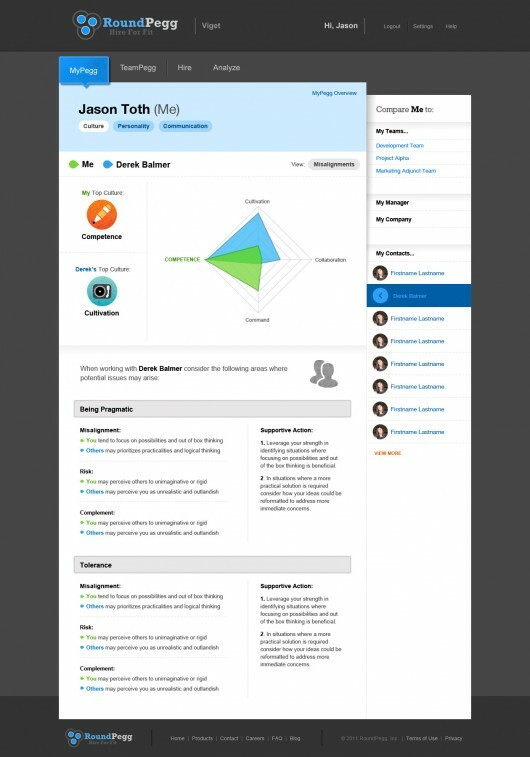 Once the general visual language was finalized, we moved into designing visual comps for the screens we had wireframed. We completed visual design by creating a style guide so the RoundPegg team could easily extend the new visual design across the platform. Working with the RoundPegg team has been great. We're excited to see their continued growth and evolution! It’s Cold. Warm Up With Vigetreats.